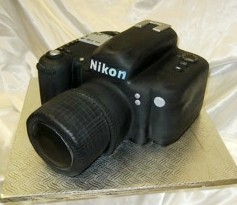 I wanted to let you know that the camera cake was an enormous hit at the party. My wife was so surprised and happy that she was in tears! Everyone couldn’t believe how accurate it was. When we showed our relatives photos of it online, they thought that they were looking at an actual camera. Oh, and it was delicious too! The cake was a big hit at the party. Everyone loved the presentation of the cake and it was delicious!! I just want to thank you for the wonderful cakes you prepared for our grade 6 students. They looked perfect and they tasted great ! Thank you again and I will talk to you again in November for the Confirmation. I would like to take this opportunity to thank you very much for the cake, plates and forks you delivered to my son yesterday for his 21st birthday. It was very nice of you to go out of your way to pick up plates and forks to deliver with the cake to make the surprise complete. My son said that the cake looked absolutely amazing and tasted incredibly good – actually all his colleagues at the BDC thought so and said thank you. You really made his day! Thank you! The cake looked and tasted great. Thank you very much for the wonderful cake. Everyone here was particularly impressed by your work and more than one person asked where we got the cakes. In addition to being incredibly beautiful, they were also delicious. 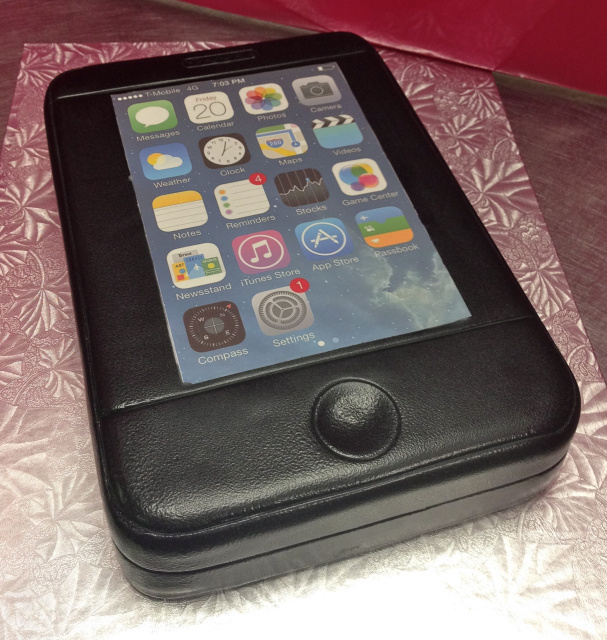 We will definitely give you a call next time we need a cake! Thanks so much for your response; I really appreciate your honesty and advice. If ever in the future you see a possibility for expansion, I hope that you will consider my proposal. The Cake Shop is the best in Ottawa, in my opinion, you certainly have reason to be proud. I just wanted to email you, to thank you for an incredible cake. Not only was it incredibly fascinating, it also tasted fantastic. I was getting comments all night. Great Job cake shop! You made everyone happy! I'm attaching some photos for you! See you on the next occasion. 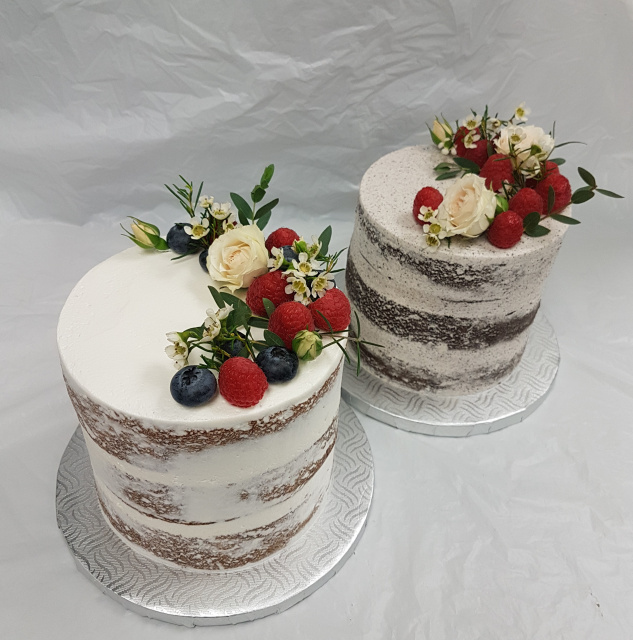 Thank you so much – the cake was absolutely beautiful, the price for it was amazing, and I have recommended The Cake Shop to everyone I know. I wanted to thank you and your staff for the wonderful birthday cake that I picked up this past Saturday. It turned out amazing and tasted great. The guests were very impressed with it. Firstly, I would like to thank you for a beautiful and delicious egg free cake you have provided for our daughter's 3rd birthday party. It was exactly what she had wanted and would not stop eating it! Neither did our guests and her friends! I can't wait until my birthday and any other occasions/excuse I find to order another cake! Thank you so much for that wonderful, delicious cake. Zara really loved it. the cake was great! and yummy!!! Thank you very much for chocolate Birthday cake (Glutene/caseine free) for my son, who has allergy. It was FANTASTIC!!!! The taste was heavenly. Best wishes to the best Cake shop. Hi Nadine. I just wanted to let you know that the cake was a great hit and it made my dad (and mum) really happy! Here's a picture for you to enjoy. Many thanks. Hello. I just thought I'd email you a few lines to thank you for the wonderful Tinkerbell petite cake and matching kids cupcakes you baked for my daughter who turned 4 last weekend. Kids, parents, grand-parents and friends were very impressed by the original and very colorful cake/cupcakes. The drive to the west end was definitely worth it (I'm from Navan). Again, thank you for your great service! I was in to the shop earlier today, and bought a bag of your Pumpkin Spice Cookies. I remember being so sorry last year that you didn't have them, so was delighted to see them this year! And they were worth waiting for! Just wanted you to know that they are delicious (of course you already know that! ), and we shall enjoy them very much. Also, my husband is very allergic to chocolate, so how pleasant a surprise to find out they are dipped in caramel, not in chocolate. Thank you for a wonderful fall treat!!! I just wanted to thank you very much for creating such a wonderful cake for us. Nadia was so helpful and the Globe cake set on top of the carrot cake pedistal impressed everyone at my boyfriends graduation BBQ. He was very surprised when he saw it. We will definitely be back for our next special occasion! Thank-you very much for the cake today. 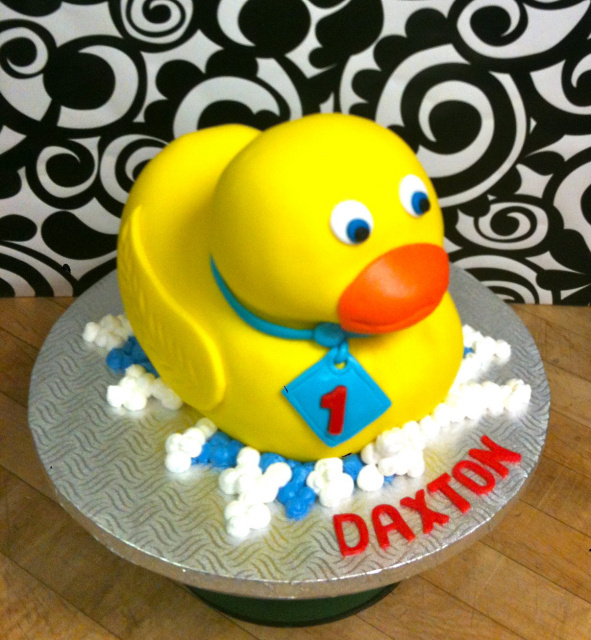 I was impressed with your customer service, your online booking and very please the cake was ready at the correct time. The vegan vanilla cake was excellent and the icing was delightful! The detail on the cake was superb! Lastly, when I opened the box and saw the cake it warmed my heart for my little boy. He was really excited too! I will definitely be back for more! I know this is coming a little late but wanted to let you know that the cake you made for my sister was AMAZING!! and tasted even better! She absolutely loved it! THANK YOU SO MUCH!! Biggest thanks to you and your crew at the Cake shop!! My Mom loved the celebration and when she saw the cake, she was so moved and touched she cried. The attention to detail provided by your staff, the art and the care provided, really showed and added to the celebration and a wonderful memory for her. Also it was incredibly yummy! Thank you so much sweet Nadine and your The Cake Shop. The cake you made is was beautiful!!! Thank you so much, my inlaws just loved it! I'll be enjoying the carrot for days to come!